The bathroom is a personal space, and when you have guests over, you want to give the appearance that your life is in order, and your feng shui is on point in every room. Want to know how to do it? Sharing an apartment with someone who needs serious help with their bathroom skills? Tired of fighting for space in that one cabinet? Here’s everything you need to know. 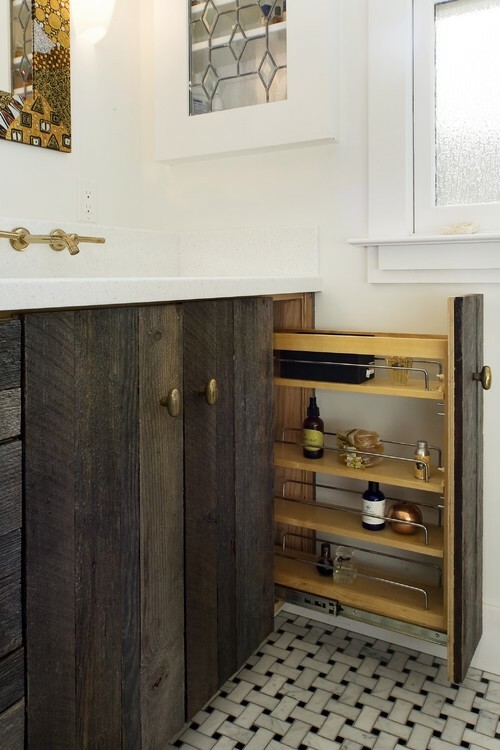 This style of storage is popular in kitchens, but it can also work great in bathrooms. 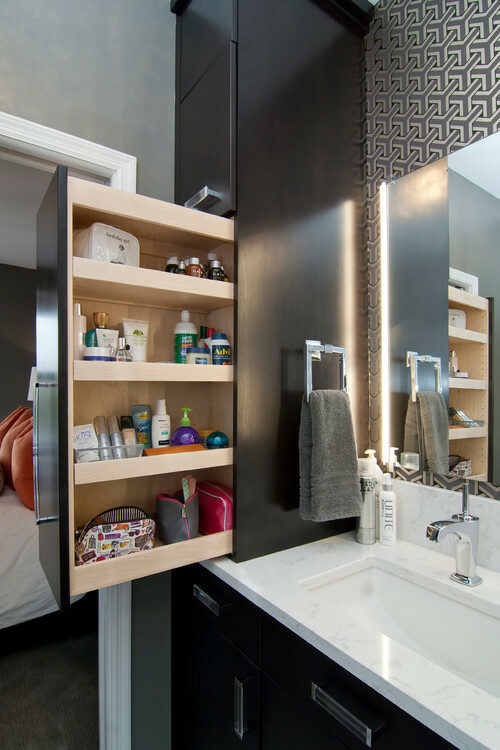 This pull-out storage can be built into a very narrow space making it ideal for a small bathroom. It’s not cheap, but if you have you carpentry skills, you can find an DIY solution. 2. Making the most out of every space. Similar to the first idea, you can optimize your space by adding a slim pull-our cabinet, where there would otherwise be empty space. This quick idea is simple to do and doesn’t take any DIY skills. Any useful ledge can be used to provide a place to hang storage. In the example below, a ledge provided a lip to hang three wooden crates. Crafty storage indeed. 4. Box it. Organize it. In the small bathroom storage war, boxes are your best friend. Boxes and trunks can transform a set of shelves into an organized area. Big hessian bins look great for hiding your towels. 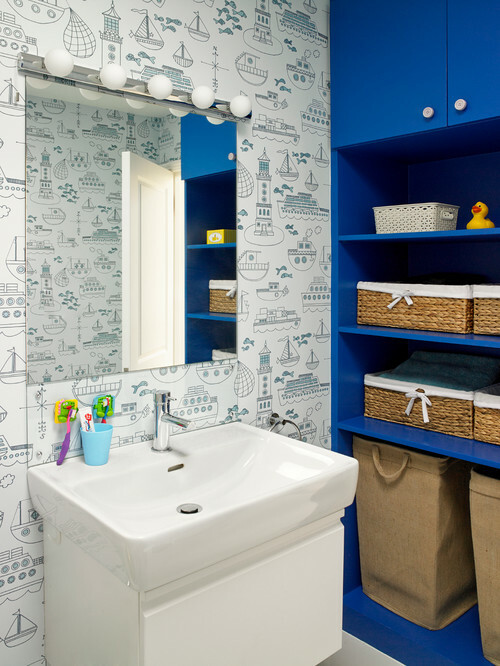 Get bonus points of color coordinating with your bathroom’s color scheme. Usually the towel bin is on full display. 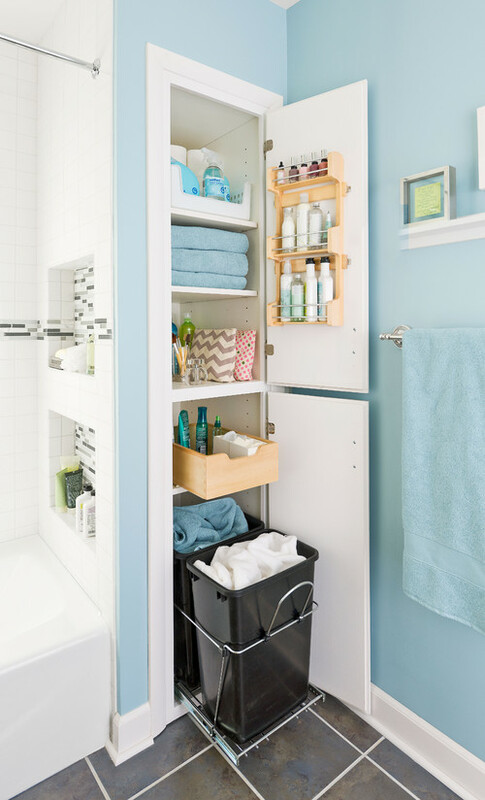 With this slide-out system, you can hide your clutter, close the door, and pretend it doesn’t exist! 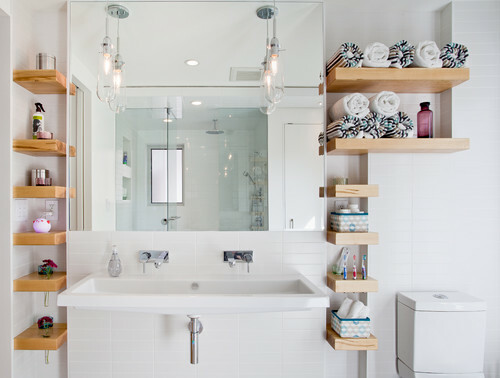 This idea works great for making the best use of all the empty areas between vanities and walls. Suspended shelving looks great, and I promise it’s not that hard to install. 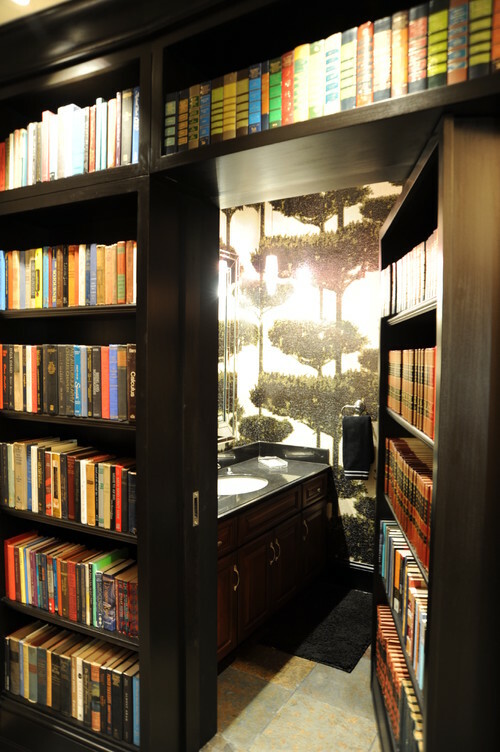 And finally, just for kicks, imagine having a secret bath hidden behind a fake book shelf!